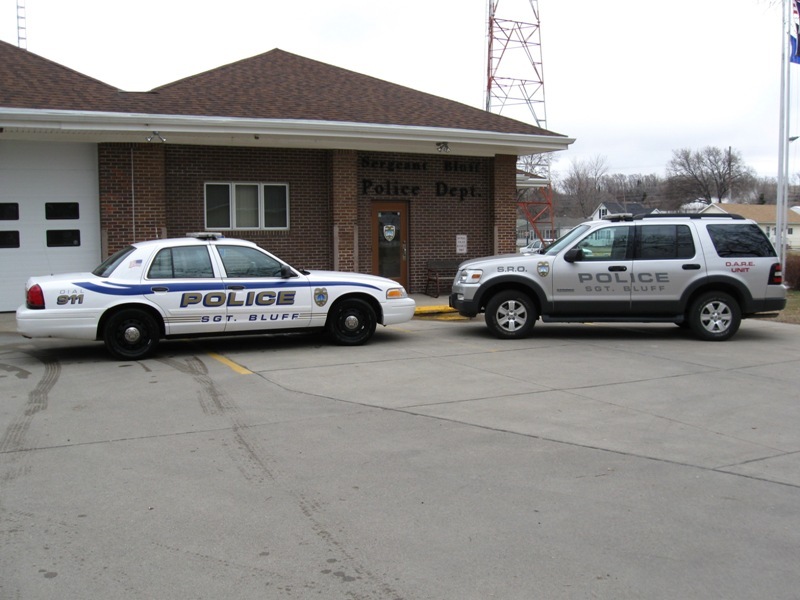 The Sergeant Bluff Police Department is dedicated to professionalism and working with the community to promote a safe environment for its citizens to live in. Officers may not be in the office at all hours of the day. 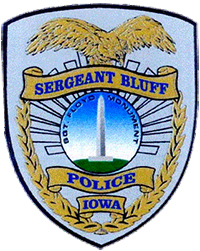 Please contact Woodbury County Communications Center (WCCC) instead of the police department outside of business hours M-F, 9am-5pm. WCCC non-emergency phone number is 712-279-6510 and emergency number is 911. The SBPD consists of Police Chief Scott Pack, Assistant Police Chief Brent Rosendahl, Office Manager Jean Maupin, and Police Officers Joseph Ebner, Mark Huot, Jory Ward, Seth Cottrell, Travis Hutzell, K9 Officer Eric Fay and K9 Garzo. The Department also utilizes reserve officers on an as-needed basis and is manned 24/7.